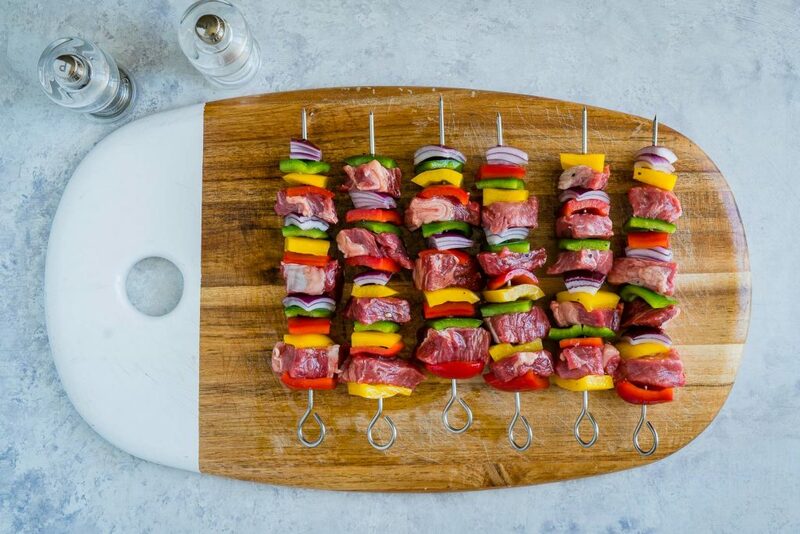 Fajita Steak Skewers for Clean Eating Summer BBQ Parties! Trim any fat and cut the steak into bite sized cubes. 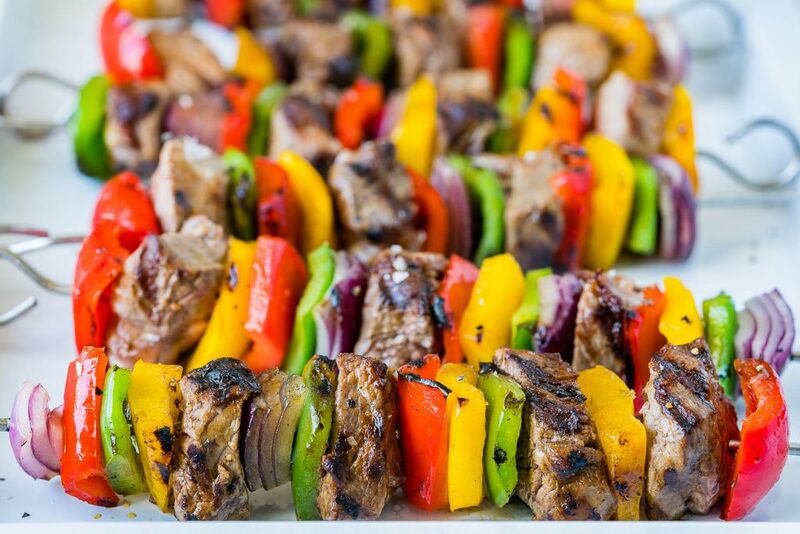 If you are using wooden skewers, soak them in water for 30 minutes so they will not burn under the broiler. 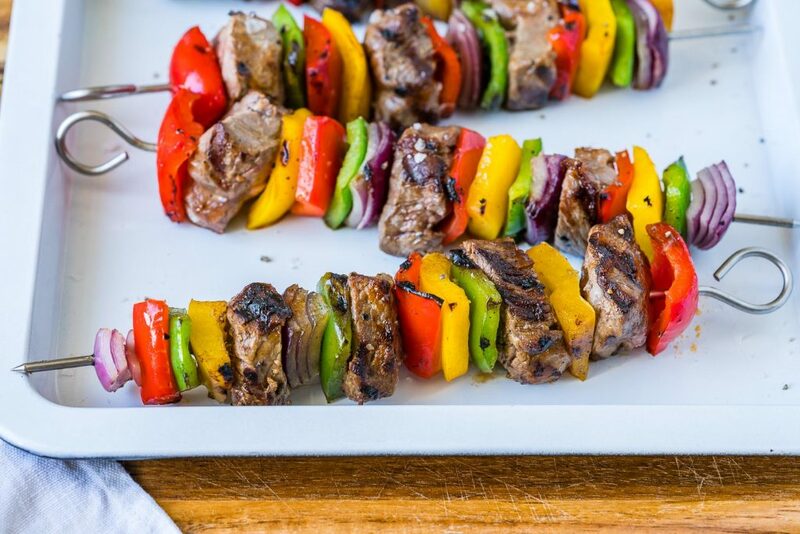 Thread the meat, onions and peppers onto the skewers in alternating patterns. 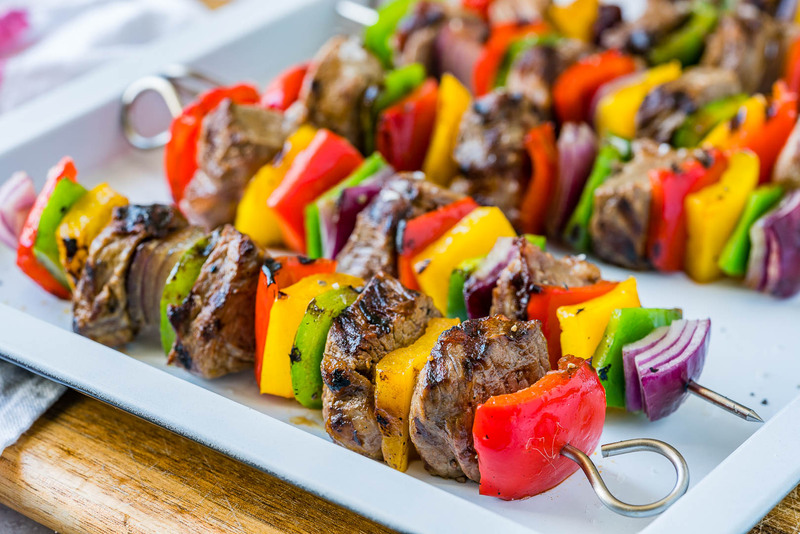 Brush the skewers very lightly with oil and season to your taste. Grill about 2 minutes on each side (about 4-6 minutes in total), for a medium rare steak, or 6-8 minutes for more well. Season with sea salt and pepper and enjoy!